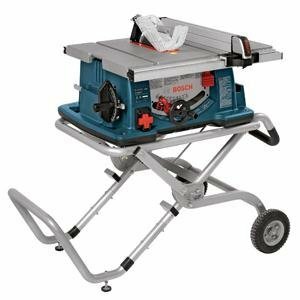 If there is a tool that has become more useful for plumbers, remodelers, electricians as well as homeowners, then it must be the reciprocating saw. 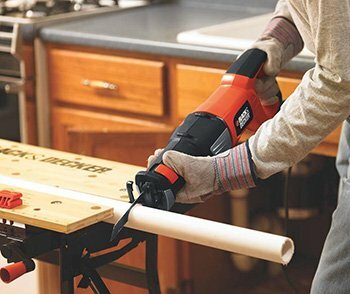 The cordless reciprocating saw has become a job site tool that is crucial. The reciprocating saw can simply be defined as a hacksaw that it motorized. 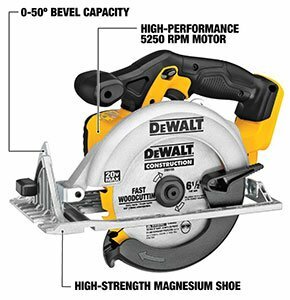 As such, the saw can be used to cut wood, pipes, metal, studs and drywall among others. This is a tool that can do jobs that other tools would not be able to. In fact, there are some professionals who refer to this as a crude saw. How the Reciprocating Saw Works? Ideally, the recipro saw works by the blade moving in and out, so as to make a cut. There is a footplate that will sit against the material you are cutting. This is what gives the blade the cutting force and the ability to pivot against the angle of the material. You can easily make overhead cuts without much difficulty. The front part of the saw will pivot to 90 degrees and can turn the blade in such a way that you can cut up to the ceiling. When not using the saw you should ensure that you use the lock button. How To Using the Reciprocating Saw? The first things that you need to do are ensure that you have chosen the right blade for the task at hand. If you have the wrong blade, this will make the whole cutting process frustrating. The choice of the blade should be determined by the type of material that you intend to cut. Unplug the saw or remove the battery so as to be able to insert the blade. The blade needs to be inserted in the chuck. If you have a modern tool, chances are that it is tool-free and all you have to do is make a quarter or half turn so as to release the blade. When you insert the blade, you should allow the chuck to return to its position and this ensures that the blade is fixed firmly and securely. If you are replacing a battery, use gloves to handle the blade that was in use as it is quite hot. What type of cut do you wish to make? 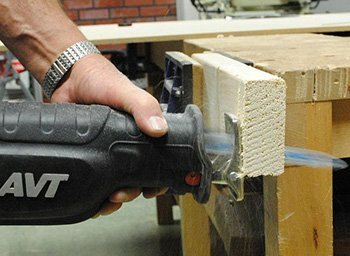 If you are not sure of the cut that you want to make, then you may have difficulties using the recip saw. When the saw lies against the material being cut, you need to pay attention to the intersection of the blade and workpiece. The blade will extend beyond that and as such, you need to make sure that there is adequate clearance for the blade so that it does not hit anything. This is important when cutting floors or walls, as you cannot see what is behind the surface. Be careful so as not to cut electrical wires and plumbing. The speed that you use with the saw will determine the results. Control the speed and start from slow speeds. As you progress, you can adjust the speed accordingly. A quick tip is to ensure that you slow down the speed as you get to the exit of the cut. The shoe is one of the most useful parts of the reciprocating saw. It has a flat surface, which will serve a number of purposes. This is the basis of the craft when you are using this saw. There are some models that come with a shoe that can be adjusted back or forward, and this will extend the life of the blade. Additionally, the shoe will stabilize both the saw and the workpiece. You should push the saw the whole way, against the material that is being cut and you will realize that this will reduce the vibration to a significant level. The force of the reciprocation will not be transferred to the material and the end result is more precision in the cuts. If you have very thick material, you should use a see-saw motion, while moving the saw slowly. If you find that the blade is slow, then it may indicate that the blade is dull and this needs to be replaced, right away. The cut should not be so hard when you have a sharp blade on your saw. You also need to allow the saw to do the heavy lifting when you are dealing with a thicker and denser material. The gentle see-saw motion of the blade will speed up the process as the load is reduced. The teeth of the blade will focus on smaller sections effectively. With this detail steps, you should not have a problem using the reciprocating the saw like an expert. This is one of those rare tools that come in handy for tough jobs. 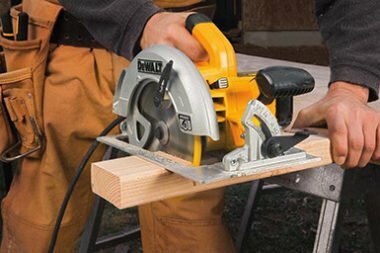 Even if you are an expert, these tips that we have shared here would make a great difference in the use of the recip saw. Always test all the features of the saw before starting the cutting to ensure that everything is working properly. Never wear loose clothing and accessories when operating the reciprocating saw as this can easily be caught by the blade. 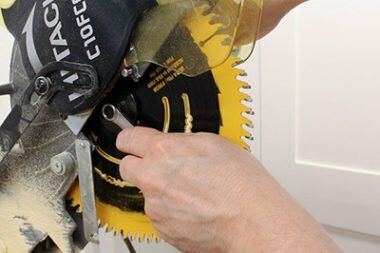 When changing the blade of your saw, you need to ensure that the tool is disconnected from the power source. Keep your hands at a safe distance from the blade of the saw, as it can easily cause injuries. Do you have a reciprocating saw and are not sure how to use it? By now, you should be on board with it as I have explained the steps to use it, like a pro. This is a saw that can be operated with ease and it is quite versatile. Having this tool in your toolbox will give you an edge in most projects that you may have. 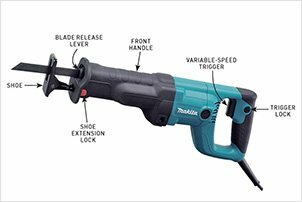 Whether you have a cordless or a corded reciprocating saw, this guide will be of great benefit on how to use it. 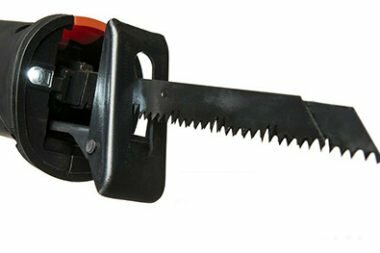 If you are contemplating buying a reciprocating saw, please check out our product review so that you can make the right decision. We have highlighted some of the top rated models and now you know how to use it.